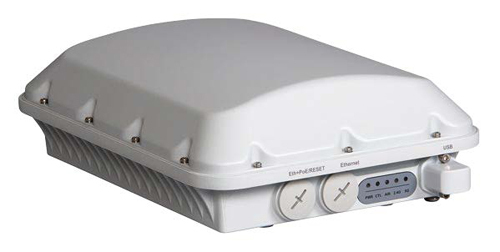 The Ruckus T610 access point delivers blazing-fast Wi-Fi for medium-density outdoor deployments, with data rates up to 2.5 Gbps—the highest available for Wi-Fi clients. Patented Ruckus adaptive antenna technology improves signal quality for every connected device, everywhere. And industrial-grade features such as secure image download and an IP67-compliant USB port make it easy to deploy Internet of Things applications for Smart Cities or large-scale video surveillance/monitoring systems. Get the industry’s best Wi-Fi in an industrial-grade enclosure that can stand up to the rigors of the elements in practically any outdoor space.